Using 1930s-era regulations, the USDA can commandeer up to half a farmer’s harvest. Earlier this month the Ninth U.S. Circuit Court of Appeals ruled that the U.S. Department of Agriculture taking 47% of a farmer’s harvest does not violate the Fifth Amendment’s takings clause as long as the government aims to drive up crop prices. 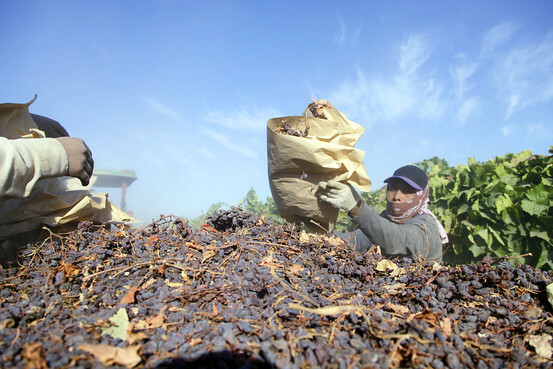 The May 9 decision was the latest absurdity in a decade-long legal battle pitting California raisin growers Marvin and Lena Horne against the USDA’s outmoded raisin regulatory regime. Writing as if they were inspired by Justice Kagan’s quip, the Ninth Circuit panel reached back a hundred years to justify perpetuating federal control of the raisin business. The decision declared, “Raisin prices rose rapidly between 1914 and 1920, peaking in 1921 at $235 per ton. This surge in prices spurred increased production, which in turn caused prices to plummet back down to between $40 and $60 per ton.” Crop prices skyrocketed during those years in large part because the World War I-era U.S. Food Administration cornered markets and vastly inflated demand by providing cheap credit to European allies to purchase boatloads of harvests. Federal intervention spurred a boom and bust that ravaged American farmers in the early 1920s. But the parity index was concocted by government agricultural economists in the 1920s to justify federal aid to farmers. “Parity” was based on a set ratio of farm prices to nonfarm prices, in correlation with the ratio that prevailed in 1910-14, a boom time for farmers. Because production costs for both farm and nonfarm goods radically changed, it never made any economic sense to rely on “parity” but it was a popular political ploy. The Ninth Circuit judges’ curiosity seemingly never extended beyond reading USDA press releases. Their decision this month declared that “the Marketing Order ensures ‘orderly’ market conditions by regulating raisin supply.” But the raisin committee’s sweeping powers have failed to prevent vast swings in prices farmers receive. Many California farmers have shifted their land to other crops; the acreage devoted to raisin production has plunged since 2000. The Ninth Circuit effectively declared that a taking is not a taking if the government intends to benefit the victim, regardless of how much damage the government inflicts. The judges played down the Hornes’ losses because they only involved “personal property”—not “real property” such as land. This is a slippery distinction that at least one other federal appeals court has utterly rejected. The decision stressed that the “Hornes did not lose all economically valuable use of their personal property,” presumably since the feds did not take all their raisins. 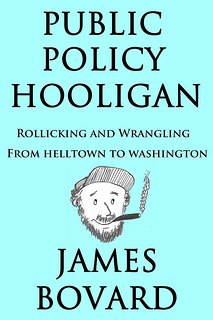 The Ninth Circuit decision illustrates how judicial docility and economic illiteracy can vest boundless power in bureaucracies. The Hornes will likely appeal to the Supreme Court. This could potentially result in a landmark takings ruling that finally torpedoes the raisin regime and numerous other USDA cartels. Mr. Bovard is the author, among other books, “Attention Deficit Democracy” (Palgrave, 2006) and “Lost Rights: The Destruction of American Liberty” (St. Martin’s, 1994). I hope the Supremes get and agree to settle the case, and that they do indeed strike down this terrible law on an “unfair takings” basis. What a mockery of this country as the home of liberty and justice. Thanks for this informative piece on the topic. It’s hard to say which is the most astounding: (1) that anyone would think seizing almost half of a farmer’s crop would be reasonable, or (2) that there is ample precedent for it, or (3) that is has to go all the way to the Supreme Court. OK, given that the circuit court was the Ninth, maybe that last one isn’t so astonishing. Thanks for keeping up with this story — I don’t like raisins, but I still hope we hear something positive coming out of it. Thanks, John. USDA got a bloody nose in the 1930s going around seizing and publicly destroying crops – so they have usually relied on arcane administrative mechanisms to achieve the same purpose since then. If USDA agents don’t have submachine guns, how will supply and demand ever balance in this country? I appreciate your thoughts despite your personal anti-raisin sentiments. I suspect it might be easier to whip up public opposition to USDA commandeering harvests if the target was hops instead of raisins. That song nicely captures the idealism behind this USDA policy. If the govt. did not have the power to commandeer half the harvest, then stores might not be willing to sell people any raisins. I hope these folks use the fed court of claims as Wayne Hage eventually did.